Monarch Ski Resort Lodging is an essential part of your Colorado vacation. We're here to help! 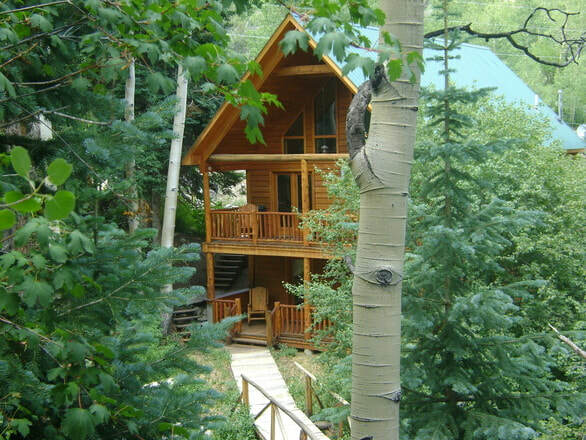 Sleepy Hollow Cabin is a beautiful rental cabin just 4 miles from Monarch Ski Resort. You'll enjoy this secluded riverfront vacation home with majestic views of the mountains. Ski all day and escape to our cabin to relax and renew. This Monarch cabin sleeps 12 people. There are 4 bedrooms and 2 bath rooms. It's a beautiful choice for Monarch Ski Resort lodging! To reserve your lodging at our beautiful cabin near Monarch Ski Area, view our rates and contact us today!